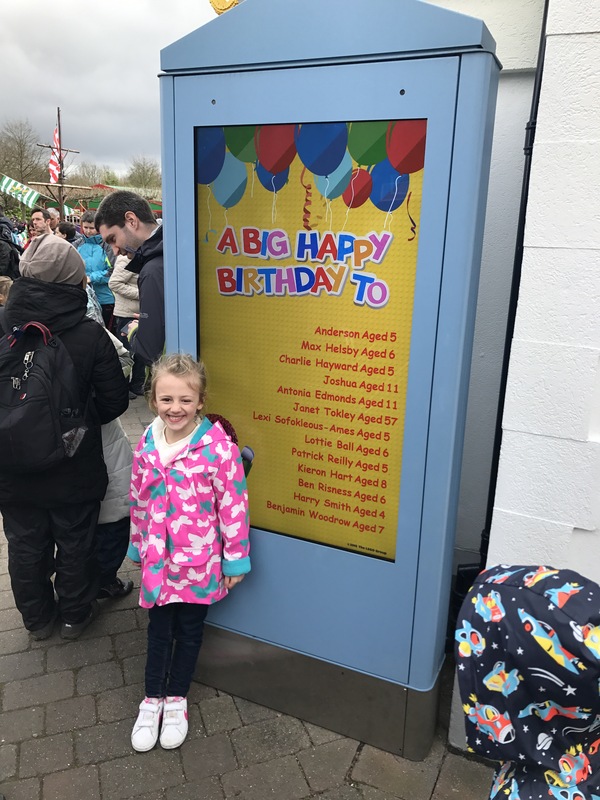 On Sunday we went to Legoland for Lottie’s 6th birthday. I had tweeted them in advance so they put her name on the Birthday board which she was thrilled about! The customer sevice at all Merlin parks are so helpful…I always tweet when I am there to get answers rather than go all the way to customer services. We have been to Legoland twice before and both times we have had Q-bots. These are a fast track device where it basically takes your place in the queue so you can go do other things whilst you wait. As we have passes so we can go back when ever we like we said we wouldn’t get Q-boys this time and would just go on whatever rides we could in the day. The park reopened last weekend so we didn’t expect it to be overly busy…we were wrong! It had queues as long as it did in the summer holidays! But we stuck to our plan of not buying passes as it is £20 a person for the cheapest Q-bot and we are determined to not spend extras after buying the passes. The rides that get the busiest are Laser raiders, coastguard HQ and the dragon. So we have to make one of these our first choice when it opens. I tend not to go for coast guards because this is the ride that is open on early ride time to those in the hotel so there will already be a small queue. Laser raiders often gets over an hour queue so we did this first. The queue has an area where the kids can sit and watch a lego film so they can avoid having to stand the whole time. It’s a great concept but they make the queue go round the corner where the children are out of sight so it doesn’t work as well as it could. There were even queues for the small rides that we can usually get on several times in a row without queuing. If you want to get all the rides done you either need to do 2 days or have a Q-bot. At lunchtime we watched the Pirate show. My kids absolutely love this and it’s the thing they talk about most inbetween visits. There is lots of gymnastics and diving off high platforms into the lake as well as crowd participation. It’s brilliant…worth getting there early to get a good seat. We always plan to get there at least 20 mins before and sit and eat our packed lunch whilst we wait. 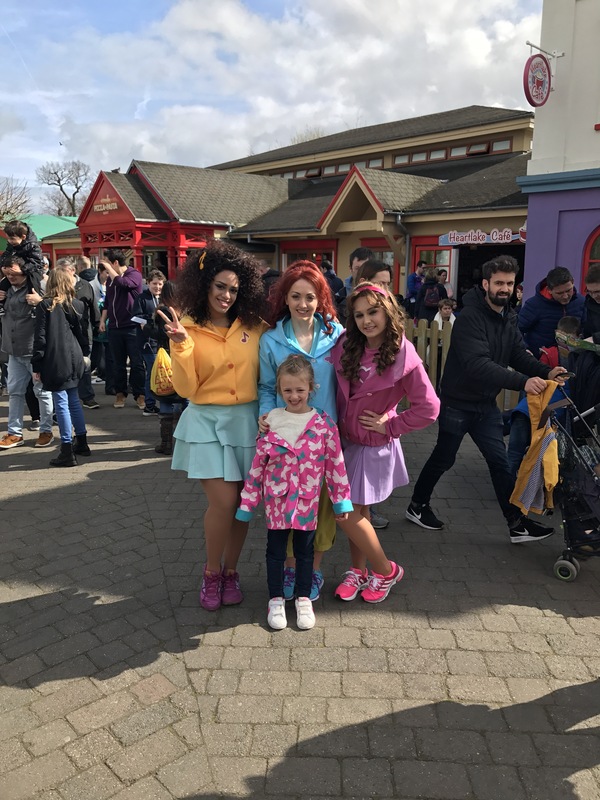 The Lego friends show isn’t on until the summer but the girls are out for “meet and greet” which Lottie was thrilled with. There is only one ride where you need to be over 1.2m for so this is the only ride Lottie and Romeo can’t do. Xavier couldn’t go on a few as he’s not 1m but there are still lots for him. I would say if children are under 90cm then they may find it frustrating if they do like rides as there won’t be that many they can go on. Every ride is so well thought out with a theme. The fairy tale ride is such a simple boat ride but it’s so fascinating with the story it tells. The submarine is a brilliant take on an aquarium. Lots of the rides involve water so I would recommend being prepared for getting wet even in summer. 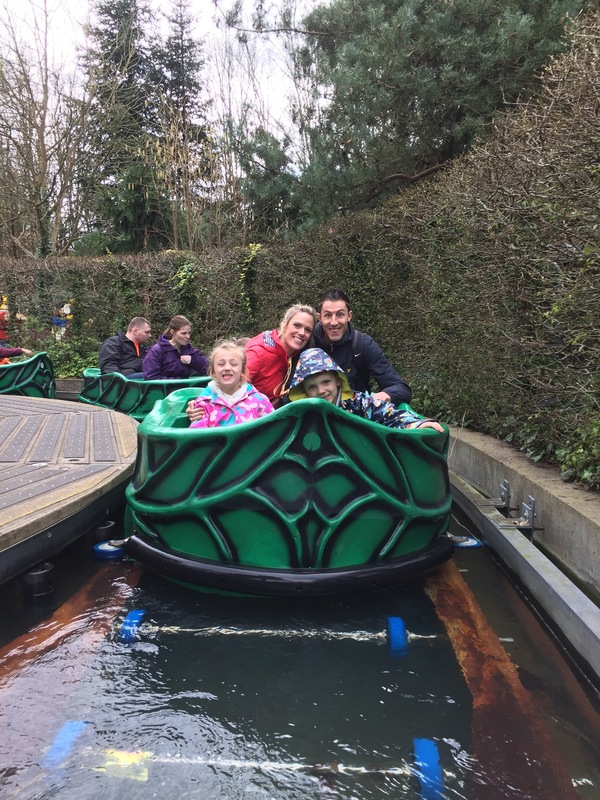 The log flume is one of the best I’ve been on with it telling a story and opportunities to get wet all the way round rather than just waiting for the drop at the end. The kids are excited about going back when it’s warmer for the water park as that’s a favourite of theirs. Definitely take costumes for them and towels as is great fun. The food and drinks are expensive. They often do offers where kids eat free after a certain time but taking your own food here is definitely the way forward. I ask for tap water and fill up our own bottles as even bottled water is overpriced. 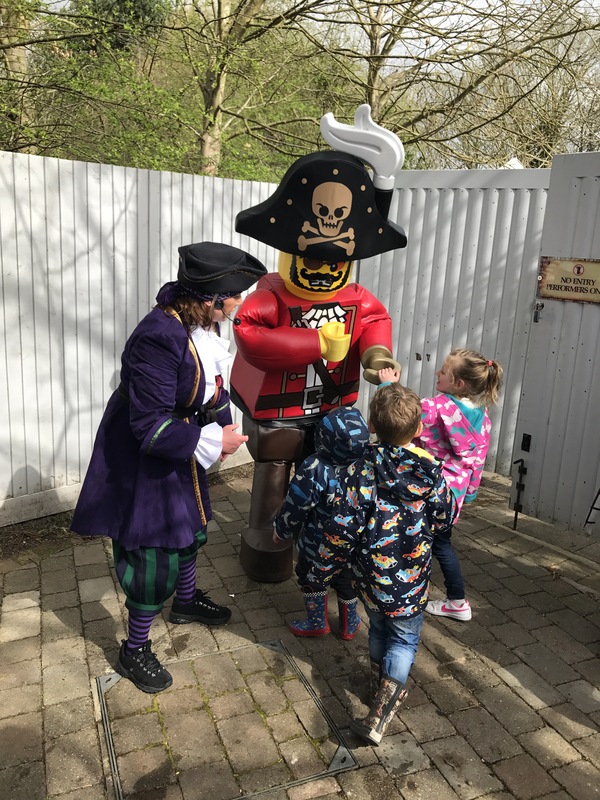 Overall it’s our favourite theme park for the age of the kids we have…can’t wait to go again!